What a year Subrina has had. A new baby girl and another recognition for the wonderful work she does at NewsChannel 13. As part of both the morning team with Phil Bayly and Paul Ciano and the afternoon slot, Sabrina continues to show herself as one of the area’s finest in broadcasting. We do and cannot be impartial when writing about John Gray. He is a big part of our Capital Region Living Magazine and does everything so well. His heart is in our area and his on-air broadcasting reflects this as well as a whole bunch of talent. Bravo John, we are so proud of you. I am not sure what is more regular, setting an alarm to waking up with Phil, Paul and Subrina or their winning the Best Of Readers’ Poll at Capital Region Living Magazine. They are certainly the beginning of most of our area’s mornings. Each day, fresh faced, witty and, most importantly, a calming force for the day ahead. 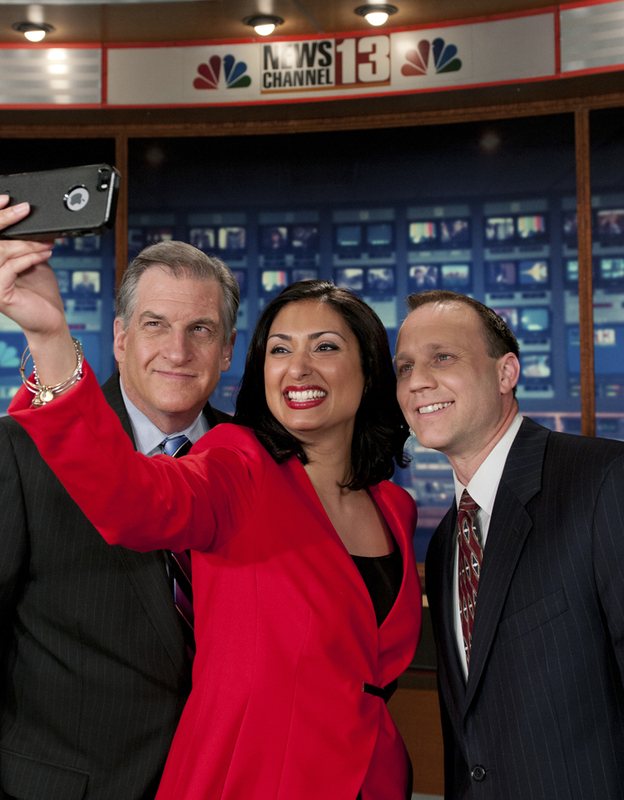 A day without these three wonderful broadcasters is a day without sunshine. Is it too strong to say that we love this meteorologist? I don’t think so. A perennial winner in our readers’ poll and a devoted—and I mean devoted—animal lover and protector. What Steve does for this area to help our four-legged friends is quite amazing. The only thing larger than his devotion to animals is his heart. If you love country music, this winner will certainly not be a surprise to you. Mornings with Jake & Dana can rev your engines early each day, and the rest of the day, this dynamic station brings you all the newest country music and entertainment. Bethany Linderman joined the show a little over a year ago, so it’s now a three-person dynamic morning show featuring the best in country music and fun. Have you ever tuned in for Your Town Thursday? It’s always a lot of fun to listen to and very creative. Politics and the news, lively talk and, of course, sports news can be counted on each day on WGY. If you love staying in touch with the world, you should put WGY on first thing in the morning and leave it on all day; it is sure to feed your news crave. John is smart, funny and taps into each of his loyal readers. His witty and poignant columns appear here in Capital Region Living Magazine as our “Last Page” and The Record newspaper. If you don’t either shed a tear or giggle when reading, you must not be reading John Gray. Paul has made his career covering the news and writing some great features for our area. His work can be seen in the Times Union newspaper. With a great following and many awards for his writing, we are proud to have him in our 2015 Readers’ Poll. I have actually heard sports arguments temporarily suspended with these words: “OK, I will watch Rodger tonight to see what he is saying about this.” Now that, my readers, is power. Rodger has been a big part of the NewsChannel 13 team since 1986. He now hosts various sport shows on air, in addition to his 6:00 and 11:00 nightly sports broadcasts. Relaxing and enjoying the best the Adirondacks have to offer would not be complete without a stay at Mirror Lake Inn. Warm and cozy yet complete with all the amenities that you could possibly wish for, including a world class spa. Travel & Leisure, Conde Nast Traveler and National Geographic Traveler are some of the many awards they have accumulated of late. The 17-room boutique hotel overlooks a small pristine lake in a rustic setting, and includes a highly acclaimed restaurant. In 2014, Friends Lake Inn received a Certificate of Excellence from TripAdvisor. Each room is complete with a jacuzzi. Any time of year is perfect for a stay there and interesting packages are always offered. Try a Bourbon Dinner or perhaps a Murder Mystery weekend set in overall excellence. The 86 miles of trails in the Capital Region for our pleasure hiking and biking offer views that illustrate how beautiful our area really is. The Mohawk-Hudson Bikeway is a Bike-Hike Trail connecting Albany and Schenectady counties. The trail is part of the statewide Canalway Trail that follows the Erie Canal from Buffalo to Albany. Shop, dine, explore history, experience the Olympic past, and the arts. Walk, kayak, run, hike, swim, ski and enjoy anything you can imagine in the Adirondacks. The choice of Lake Placid each year as our Best Day Trip is one that makes total sense to all. The Albany Country Club is a traditional, private membership, family-oriented social club with a golf course designed to challenge the experienced golfer, yet welcome the novice or less skilled. The history of the club is rich and the amenities are designed for enjoyment. Families are always welcomed as coming home and belonging to this history, as well as being encouraged to enjoy the present. Nestled in the hamlet of Jonesville in Saratoga County, Van Patten Golf Club is just minutes from Exit 10 of I-87. This 27-hole public golf course is a challenge to all levels of handicap. Tee time reservations may be made 72 hours in advance for your convenience. The Vista can round out the experience with great food, beverages and views! Hike alone or with family and friends, with or without a guide, on the gorgeous trails. Each of the trails, like Nature’s Accessible Backyard Trail or the 2.3 mile North Loop Trail or perhaps Wild Turkey Trail, showcases nature and wilderness like no other in our area. Grab your hiking boots and a good camera, get out in nature and enjoy. You will love it all. When you combine wonderful accommodations with exceptional dining choices, ranging from the elegant AAA Four Diamond rated Scrimshaw, the casual and sophisticated Simpson’s Grille, and The Tavern, an English pub, you have a true winner anywhere. Bravo Desmond for always being reliably excellent. Family-owned and operated since 1869, Mohonk Mountain House is a multi-year winner in the Capital Region Living Readers’ Poll. Mohonk is perfect for idyllic family vacations, romantic escapes, and instant getaways. The spa and dining are top notch, making for one wonderful place to enjoy. YMCA Camp Chingachgook is a safe, inclusive community that is fun and rewarding for all those lucky to attend. As a result of their work, children will develop personal confidence, social responsibility and an appreciation for the natural world—and did I mention good healthy fun? This local winery was born out of love of fine wines and farming. The Altamont Vineyard & Winery has become the premier location for fine wine and private events. A weekend day of tasting is a fabulous way to spend a summer day and tours can be arranged by reservation. The pool complex consists of a 50-meter pool, an intermediate pool, a diving pool, two children’s spray pools, a children’s play area, locker rooms, and a concession stand and is open daily from June 10 to September 7. The kids could entertain themselves with all this available! The Saratoga State Park is listed as a National Historic Landmark. Our readers love the diverse cultural, aesthetic and recreational environment. In addition to the nationally-known Saratoga Performing Arts Center, the Spa Little Theater, the National Museum of Dance, the Saratoga Automobile Museum, the Gideon Putnam Resort and Roosevelt Baths and Spa, the park is perfect for strolling and enjoying the great scenery. The park provides a marvelous panorama of the Hudson-Mohawk valleys and the Adirondack and Green mountains that is certainly appreciated by our readers. The Park also has volleyball courts, playgrounds, ball fields and numerous picnic areas. There are nine shelters that can also be reserved for the days that are not weather-perfect. The Spectrum is committed to showing films that are provocative, entertaining and thought-provoking. You can see the blockbusters or perhaps a foreign film that you may not be able to see within a convenient distance. A rainy day spent at the Spectrum is not only an enjoyable idea but also an educational one. I can’t wait till it rains. Sledding down the hills in Frear Park on a crisp chilly day is almost guaranteed to induce laughter and to wipe out the winter blues. As an added benefit, running back up those slopes is great exercise. It’s a fun way for adults and kids to spend the day. You might say Glen Sanders is continuing to make history. The 300-year-old mansion on the banks of the Mohawk River, along with the ballroom, riverfront patio and gazebo, is a unique event setting. Our readers applaud not only a terrific setting but the attention to detail, fine food and great experiences created by Mazzone Hospitality at Glen Sanders events. The environment of the Sagamore—a historically elegant resort, located on a 70-acre island on the Queen of Lakes—spells romance. But the Sagamore staff also are romantic getaway specialists, ready to help with special details, from wine awaiting your arrival, to massages, a cruise, private hike, tennis for two, a time together lakeside, and more. As indicated by our Best of Ski Area poll, Jiminy Peak is a slope destination for many in the Capital Region. Jiminy is one of the places mentioned when families and group of friends get together and say, “Remember that day when we all got in the car and went to….” The Terrain-Based Learning programs at Jiminy have been creating new skiers and boarders ready to try their new skills next season. Located among the tall pines of the Saratoga Spa State Park, the Gideon Putnam is classic Saratoga from lodging, to dining, to spa services, to recreation and the Saratoga Performing Arts Center on the surrounding grounds. The Gideon Putnam is listed on the National Trust for Historic Preservation’s national registry of Historic Hotels of America. Perhaps your tradition at the resort is a relaxing bath in the buoyant mineral waters, or perhaps a sampling of selections at the Sunday brunch, or a stay combined with Park activities. The Woodstock Inn is a four-season destination. The elegant accommodations blend historic details of this timeless New England resort with modern amenities. Relax at the spa at the Inn, visit Woodstock shops and restaurants, or ski, golf and more in gorgeous surroundings. Who doesn’t love a fair—the smells of food, shrieking kids on rides and good hometown fun? This is what Saratoga County Fair has delivered consistently for many years and earns them top spot for County Fairs this year! This hallmark museum in Albany features many exhibitions, many changing throughout the year. The 9/11 exhibition, which is permanent, brings you back to that fateful day in our country’s history, and the wilderness exhibitions thrill, time and time again. There are lots to explore, so schedule ample time for this year’s winner! Bishop Edward B. Scharfenberger, new to Albany this year, missed his beloved pizza from Brooklyn. So, a number of local pizzerias got together and had a challenge event and the Bishop picked his top choice. It was all for fun and proceeds were to the benefit of Catholic Charities. Hope it happens again in 2016! From a planetarium to butterfly exhibits (in season), to a great summer camp and many changing exhibits on many subjects including nanotechnology, this is a place to go anytime. And what a way to spend a rainy day! History abounds in this classic music hall, ranked one of the best in the world for acoustics. From orchestra to country, to comedy, to unique groups and sole artist, “The Hall” presents a great schedule year after year. Not only is it historical, but a beauty to behold as well. Pair a performance with one of the fine restaurants in Troy and you will have an unforgettable evening (or Sunday afternoon). On the grounds of Saratoga Spa State Park resides our marvelous SPAC. Each year, whether on the lawn or sitting in the amphitheater, SPAC serves the best in classical music, ballet, country and pop music. Thank you SPAC for holding tight to excellence! Decorated in Art Deco, homemade and fabulous goodies beyond the freshest of popcorn, as well as a top-notch collection of films, the Spectrum creates legions of Capital Region residents as loyal fans. Multiple winners in our readers’ poll each and every year! Sitting and enjoying the concerts at SPAC is summer for our CR residents, bringing joy under the stars as we listen and watch what SPAC and world famous performers serve us each and every summer. Each May, over 100,000 tulip bulbs blossom into a sea of colors in Washington Park. All the historic events take place annually, including the scrubbing of State Street as well as the tradition of the Tulip Queen Coronation. Happy Mother’s Day to us all because of this annual and happy event. In addition to its rich history, the Albany Symphony delights our area with adventurous programming each season. David Alan Miller more than aptly holds the reins of the symphony. His stature among leaders is growing each and every year with awards and adulation, including a Grammy Award. Proctors just gets better and better each year. Why travel to NYC to see the best that Broadway offers when we can travel to Schenectady, have a great dinner in the nearby restaurants and see most of what Broadway offers—then sleep in your own bed at night? Our CRL readers agree. Strolling the streets of downtown Hudson in Columbia County is a treat for the people who love and appreciate antiquing, as well as those who just appreciate the past. Hudson is loaded with excellent shops to drop in, browse and buy. Knowledge of antiques is not necessary here—only an appreciation of the past and a desire to stroll, peak and admire. Biting a crisp, fresh apple is something that makes life so sweet. Fall and Indian Ladder just go together at apple-picking time. This enjoyable and friendly setting has so much to offer our local families and memories will be made to last a lifetime. How could you not love a clothing store where everything is always reduced in price? There are options to choose from that could rival many retailers. Whether your tastes are upscale and professional or just plain casual and funky, there will be something for you. Steiner’s is an independently owned and operated sporting goods company that carries the best brands in bikes for all levels of enthusiasts. Cervelo, Electra and Trek are just some of the options. A bike for any gender, age or skill level and, of course, price level makes Steiner’s a winner in the Capital Region. Located at the intersection of River and Third streets, Market Block has been a focal point for Troy’s downtown area. Strolling the store and reading may be the most relaxing shopping trip of all others for most of us, and how could you not love a book store with a Bookaholic Bonus Card? The big day needs to be perfect as can be, and that is what The Bridal Gallery by Yvonne prides itself on. Great selections and lots of hand-holding and expertise when making the all-important choices. With everything that needs to be done, wouldn’t it be great to count on people like this for your wedding attire? Keeler sells and services Honda, MINI, BMW, Mercedes-Benz and Smart vehicles at its huge and state-of-the-art Latham property. You will need choices when picking out your wheels, whether practical and modest or spectacular with a wow factor, and Keeler delivers the choices and service. OK, I freely admit to being addicted to Uncle Sam’s Almond Butter Crunch but, like you, I would be happy with anything they have in their stores. Always with wonderful quality, they have been making and selling great products for 80 years! Their bark is wildly good and they are now making a sea salt variety for us. Well, let me admit first of all that I cannot be objective about this win. Rhe Potenza, the owner of Truly Rhe, is one of the loveliest people I know and her shop is where I shop. The selection is always fresh, unique and stylish. Bravo Rhe! Fresh produce—vegetables, herbs, berries, tree fruit; poultry, meat and dairy—beef, bison, pork, chicken, eggs, milk, cheese; baked goods—artisan breads, pies, cakes, cookies, pastries; and artisan wares—pottery, wool and knitted goods. That just names a few of what is offered at The Troy Farmers Market each and every week. Strolling this wonderful and large farmers market is pure Capital Region joy! When you need a shot of summer, I cannot think of a better place to go and, of course, shop. I defy you to not find the perfect plant for your garden or landscaping item for your home. Faddegons is ecstasy for your senses. 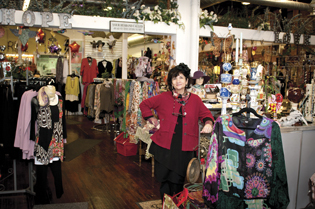 Since 1975, Wit’s End has continued to grow into one of the top destination gift, jewelry and fashion stores in the Northeast, featuring over 25,000 square feet of unique gifts from around the world. If you need something but do not know quite what that “something” is, you will find it by browsing Wit’s End. When you are looking for great gifts, beautiful home décor, and fun seasonal items, you have to head to Valatie. It is a feast for the senses to see everything they have and great fun too! Unique everything is there for your needs. Locally owned and operated in the historic Stanley’s Building in downtown Troy, Pfeil is a Benjamin Moore retailer and so much more. A hardware store that is not a “big box, Pfeil has great customer service and is fun to explore. How unique and wonderful. Watching The Honest Weight Food Co-op grow into this wonderful store with unlimited choices catering to everyone who cares about eating well has been amazing. The Honest Weight is a member-owned and operated consumer cooperative committed to providing the community with affordable, high quality natural foods and products for healthy living. Henry and Betty reign supreme in the pet boutique named for them. So cute and such fun! The boutique offers high quality and organic products for all the pet lovers to enjoy. Oh and the pets too! Huey is 21 years old while admiring the landscape at Benson’s for all to see and admire. Benson’s is a small but independent chain helping pets maintain a healthy life style. The word trust is in all of the Hannoush Jewelers ads for good reason. Whether buying for your wedding or gift-giving needs, Hannoush will certainly spend the time to get you what your heart desires and then follow the purchase until prefect. A perennial winner in this category, Empire is top notch when it comes to variety and service. Whether in store or on line, Empire will always give you the best care they can and it is obviously appreciated each year by our readers. Mark Thomas is our upscale men’s clothing store in the Capital Region, carrying some of the finest designer Italian and American fabrics. With an on-site tailor, you can create custom-fit apparel including dress shirts, pants, suits and much more. Planning a trip near or afar? AAA Hudson Valley has the know-how and wherewithal to work with you to plan and make arrangements for a smooth journey, from charting routes, to offering tours, to identifying and providing specials on attractions. Reviewing the menu of services will entice you to get out on the road, in the air, on the water, and more. The popular Parkway specializes in new and used instruments, lessons, electronics and repairs, coupled with experienced staff. That includes guitar, bass, drums, keyboard, folk and traditional audio, amps, lighting, accessories and, as Parkway notes, “more cool stuff.” In addition to great instruments, equipment and staff know-how, the people of Parkway express a passion for their work that’s simply contagious. Shopping, dining and a multi-plex movie theater await us a Colonie Center Mall and by the look of weekends at the mall, it is all fantastic! Colonie Center is such a dynamic mall that keeps getting better and better with the addition of the Whole Foods Market and now Nordstrom Rack which will be coming in the fall of 2015. Our readers applaud Steiner’s, an independently owned and operated business, for being bike, kayak and ski specialists over 30 years. It’s much more than having the best brands available. The Steiner’s experience includes a knowledgeable staff to guide you, maintain those purchases, and provide how-to information to make the most of getting on the road, trail, slopes and water. Price Chopper is not only local, it’s involved, in Capital Region communities. For more than 75 years, this Golub Corporation business has been expanding in the number of locations, food—from ingredients to creative ready-to-go—floral and health products, services, tips and educational information. We love our pets and the readers of CRL really appreciate a great veterinary practice like Cap Vets. They are convenient to the entire area and promote life-long wellness to our furry family. The range of services and the types of animals that they keep well reign supreme. If you are cooking, doing laundry, grilling, freezing and most everything else in the home, chances are you are using an appliance from Earl B. Feiden, Inc. Appliance. Family-owned and operated since 1926. “Feiden’s” has been a staple in our communities. The good folks at New Scotland Auto Center repair both foreign and domestic vehicles, giving the same thorough care and attention that they would give their own. Customer satisfaction is the backbone of this friendly and highly skilled auto center. With eyes on the present and future in our communities, Pioneer Bank is the only mutual bank serving the Capital Region of Upstate New York. Pioneer not only believes that their customers always come first, that is who they report to! Whether you are hosting a corporate function, social event or wedding, The Old Daley Catering Company has represented excellence time and time again. The Old Daley on Crooked Lake is simply amazing and gives new meaning of custom catering for your event to each and every event served. Mazzone combines your vision with its quality to every event. Compromises are never tolerated but what is tolerated is supreme excellence. The members of SEFCU are the owners of SEFCU as well as shareholders and the privileges that the distinction brings is appreciated by our readers in a big way by voting SEFCU our number one Credit Union! The fact that SEFCU is among the top 50 largest in the United States has not distracted this team of professionals from doing a masterful job. The family at Cap Com work so hard to bring all the services to their members with only excellent customer service and it was rewarded by the readers of Capital Region Living Magazine. I guess this is one business relationship with its members that is a mutual admiration society. They admire and work hard for us and we appreciate all they do. I doubt anything gets more original than this—fresh made donuts, filled at your direction in front of you and made in small batches with only fresh and warm results. Each morning, there is a full selection of delights but you need from now on to set your alarm clock early to try each and every one of them. Donuts made of local ingredients and organic suga–wow. Complexions invites you refresh, relax and rejuvenate mind, body and spirit at its spa facilities. Our readers have not only step in for a massage or hair design or skin care, they come away saying “ahhhhhh.” Spa services include facial and body treatment, sauna, steam room, deluge cold plunge, as well as relaxation lounges and an organic tea bar. Executive Cleaners details its points of perfection in dry cleaning, pressing and finishing and, clearly, our readers appreciate that. Specialties include fine fabrics and safe stain removal and servicing suede leather, wedding gowns and household fabrics such as drapes and bedspreads. Staff members are trained for particular types of garments. Customer service, convenience, know-how and eco-friendly technology are among the plaudits for Best Cleaners, which has 10 locations in our region and pickup and delivery opportunities. The company is certified by the non-profit Greener Cleaner Council and a certified restoration dry cleaner, with training to help recover your garments from fire, smoke and disasters. Best Cleaners also offers storage services, at its facility or preparation for storage at your home. 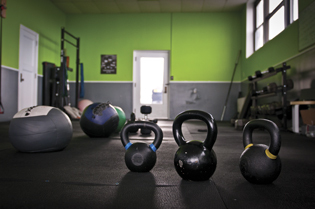 Phelps is self-described as a “no-frills-style gym” that provides the setting, training and programs for you to improve. Programs include the fast-paced, Metabolic Meltdown classes, customized to different fitness levels; training for acceleration and agility; strength; and fitness in pregnancy. In addition to classes, private sessions are available and coaches can arrange for training for their teams. Our readers say a hearty thank you for the guidance, knowledge and focus given at Phelps. Our readers know that Fleurtacious will have that something special in floral designs or gifts. Not sure of what to select? This family-owned and operated shop’s designers are ready with knowledge and guidance as to what plant would work well, what design or gift item would be perfect for the occasion. Need something for a certain location? You’re invited to provide a photo. Experience, creativity and personal service have gained our readers’ appreciation. Kimberley’s believes that the hands and feet deserve special attention. The menu of manicures and pedicures—delectable indulgences, lavender, champagne and more—pampers and refreshes, with elegant and sophisticated results. Even the descriptions create a sensory delight. Our readers say that with the experience of Kimberley’s, they have a feeling of well-being. Tiffany’s is a repeat winner in Best Men’s Barber, with our readers giving credit to consistent friendly and personalized care for the range of barbering service. Personalized styling and knowledge to bring out the very best are key elements that have made Christopher Brian Salon a perennial winner in this category. Owner Christopher Feml is a certified master colorist, a certified hair extension artist, and an expert in evening and day makeup application. From weddings to special evening out, to daily design, the salon is ready for you. Walking off the street in Troy’s wonderful downtown and entering the tranquility of Spa Broadway/White Sands is just what everyone needs to do when a massage is on the” to-do “list. Warm and inviting and full of massage talent to work out the kinks and relax your body & soul. Voted number one for great reason…commitment to excellence. Started in 2003 by Nuhar Jaleel, a licensed physical therapist, and a Pilates and GYROTONIC® exercise instructor, Pilates Principle is recognized for its knowledgeable staff educated in anatomy and biomechanics, experienced in modifying classical Pilates exercises for individuals particular conditions and needs The studio is prepared to meet your needs, whether, rehabilitative/therapeutic, sport specific, or general fitness and well-being. Heartspace programs, for beginners to advanced, are designed to help improve overall health, reduce stress, and promote peaceful and calm mind through the practice of yoga. The studio is community-oriented, the setting is supportive and tranquil; the instructors are experienced and passionate about yoga. Realty USA is a repeat winner. 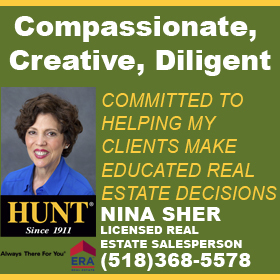 Agents located throughout the Capital Region are ready to share their experience and knowledge, whether you are seeking new or existing construction, whether this is your first purchase or you’ve bought and sold previously.